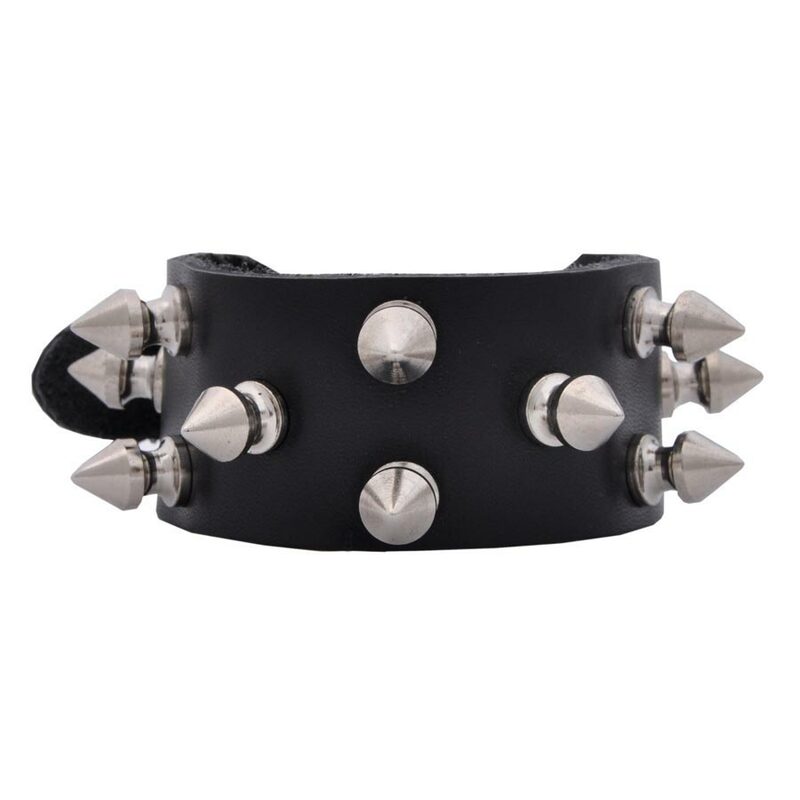 3 Rows of 1/2 Inch Spikes Leather Wristband. 1 Inch Wide. 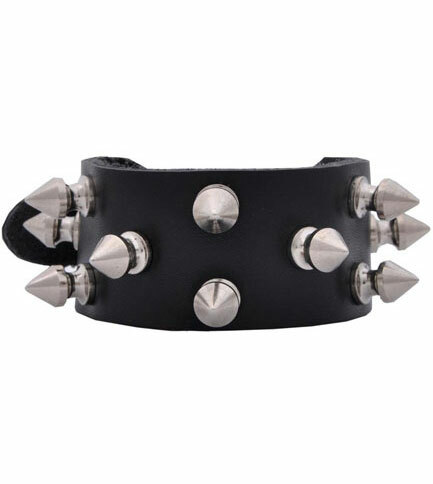 One Size Fits Most Adjustable - 6 Inches - 9 Inches. Made in the USA.